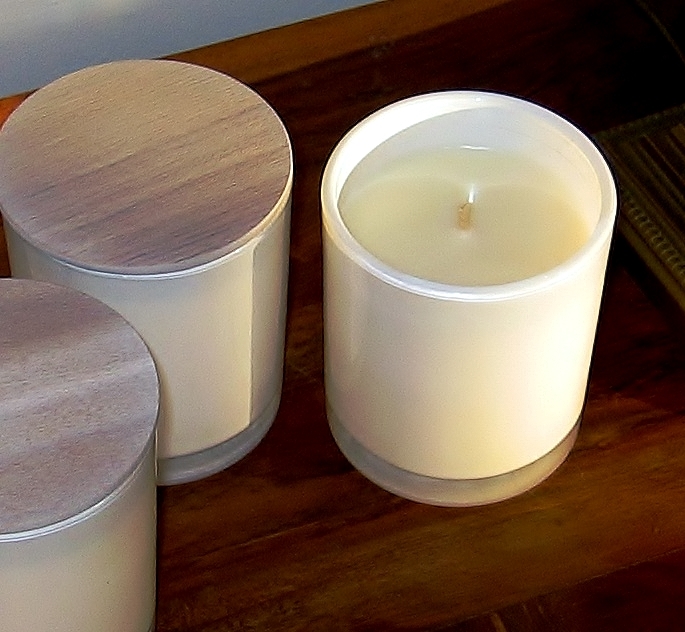 Our 'Premium' Candles are a 270 gramme weight (wax) which create a burn time of 55 hours, with an average 55 to 60 hours. Juicy with a sweet brisk aroma with a hint of citrus; instantly refreshing. Additional notes of bergamot, orchard apples intertwined with jasmine, lily and precious woods rounds out this fruity blend. A truly sophisticated scent of blackcurrant with rose petals and hints of fir needle, clove, lemon peel and musk. A deliciously sweet fragrance of warm vanilla sugar and juicy ripe black Raspberries. Middle notes of Geranium and Rose add to the sweetness. This refreshing scent combines the sophisticated notes of Green Tea, Lavender and Jasmine with clean notes of Lemongrass to create a unique fragrance. Sun-ripened Nectarines infused with the crisp tanginess of Blackcurrants. Invigorating blend of Wild Freesia, fresh Lime and Lavender. Base notes of Amber and Sandalwood provide some subtle strength. Exotic with tart, fruity top notes of Pineapple, Lemongrass and Lime blended with a Peachy middle, leading to a smooth finish of Vanilla, Sandalwood and Coconut. A vibrant combination that so far is a top favourite with our Customers. By no means a 'sharp' scent it's refreshing and aromatic. A truly distinctive scent whereby all three combine to create a wonderful aroma. Each component balances against the others with no one aroma predominating.